In Situ, created by Fabienne Leclerc in 2001, had joined up with the galleries’ association of the Louise Weiss Street in the 13th urban district of Paris, and now she leaves this district to the 06th Saint Germain, in Paris. In Situ Fabienne Leclerc Gallery has the ambition to promote young artists in the French and the International art scene, as well as to support better known artists on the long run. So many artists of the Galerie des Archives, created by Fabienne Leclerc in 1989 and closed in 1998, continue to collaborate with In Situ Fabienne Leclerc Gallery : Gary Hill (USA), Mark Dion (USA), Patrick Corillon (Belgium), Patrick Van Caeckenbergh (Belgium), Lynne Cohen (USA), Andrea Blum (USA), Florence Paradeis (France). 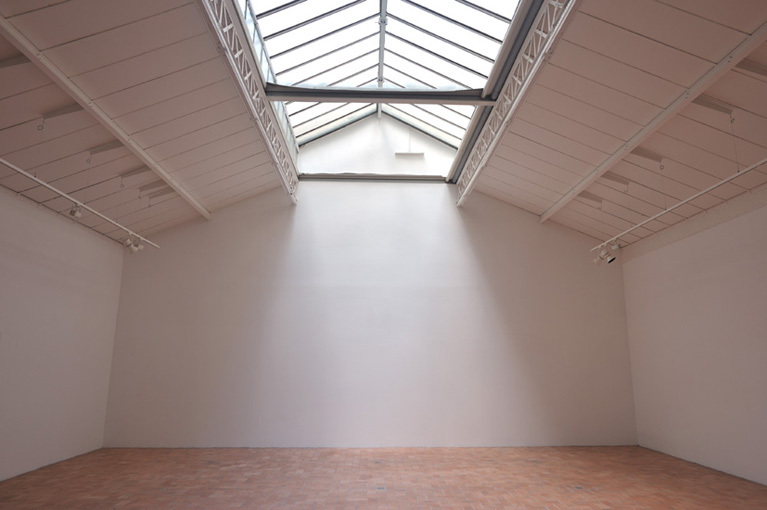 From 2001, new artists, French or not, have joined up with the gallery: Bruno Perramant (France), Damien Deroubaix (France), Laurent Tixador (France), Renaud Auguste-Dormeuil (France), Joana Hadjithomas et Khalil Joreige (Lebanon), Subodh Gupta (India), Noritoshi Hirakawa (Japan), The Blue Noses (Russia), Patrick Tosani (France), Martin Dammann (Germany) , and this year Meschac Gaba (Benin) and Marcel Van Eeden (Netherlands). In Situ Fabienne Leclerc keeps working on showing, producing works for the gallery and for institutions/museums, editing catalogs and artist books titled, Around and About, Gary Hill (2001); Atlas des idéations (2005) and Atlas d’une cosmogonie (2006), Patrick Van Caeckenbergh ; Horizon moins 20, Laurent Tixador & Abraham Poincheval (2006) ; Fragment of Travel, Exploration and Adventure, Mark Dion (2007), Bird’s eye view, Renaud Auguste-Dormeuil (2008); World Downfall, Damien Deroubaix (co-edition 2008), Bruno Perramant (co-edition 2009).